So…I’ve gotten my thoughts on the “riots” off of my chest. 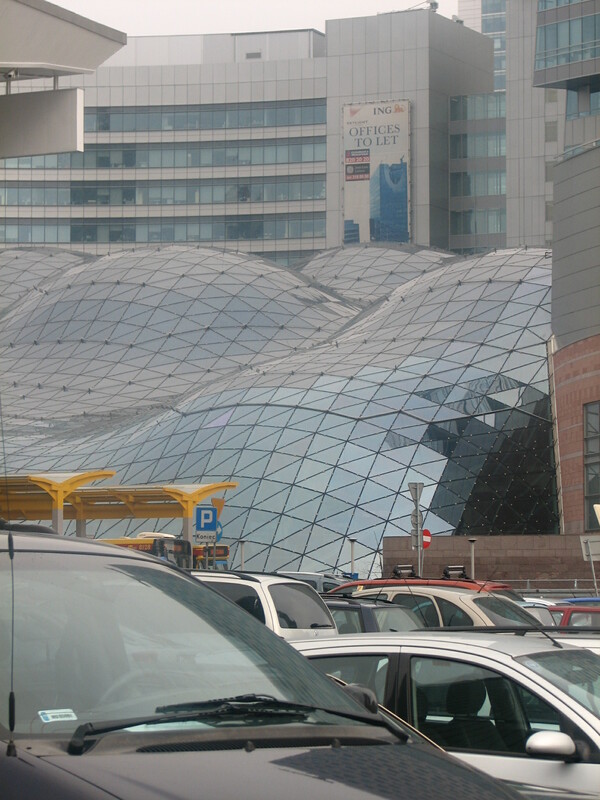 We now return to our temporarily scheduled travelogue...with Warsaw, Poland. Eating dried mango in a sleeper car. Nuclear freaking heat. 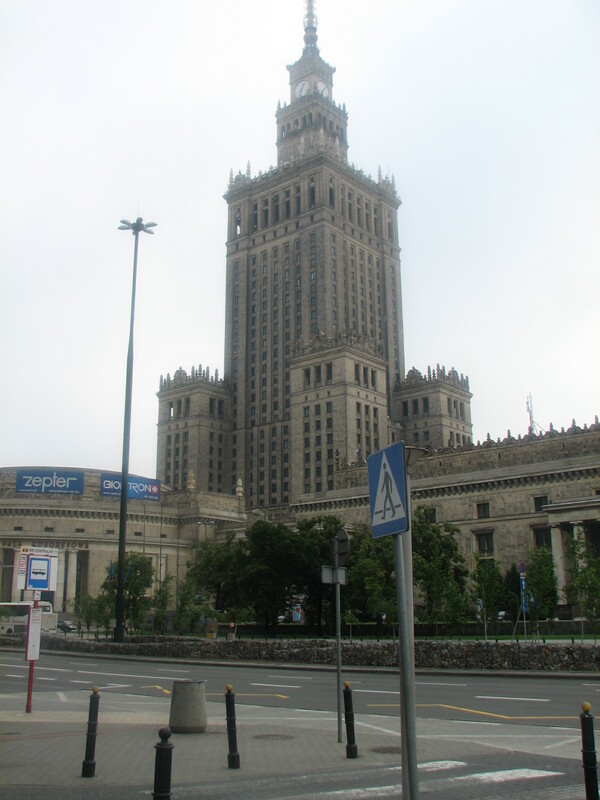 The Palace of Culture and Science. The synagogue. A lovely couple from Lyon. Being grouchy from traveling badly. The mall. A Polish Chicagoan. Fizzy water. 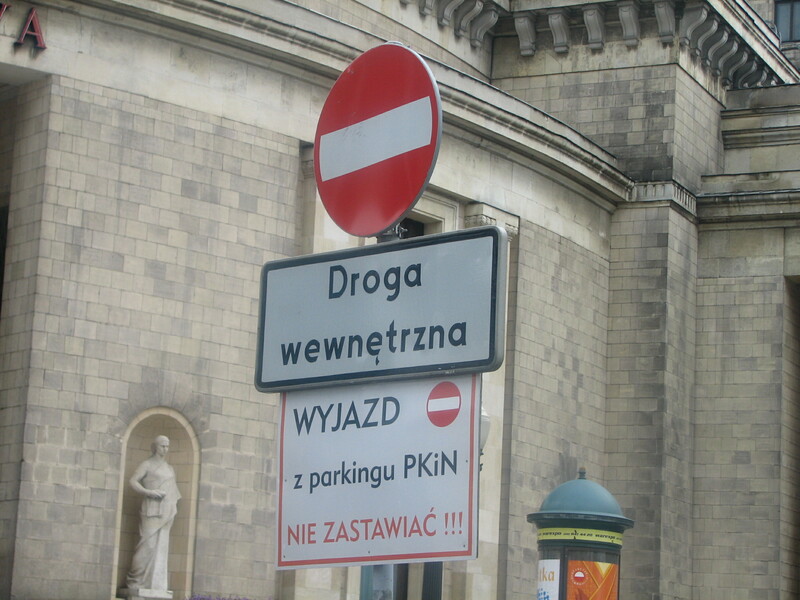 5-star Polish restaurant for 228 zlotys. Lovely, happy chef. Chopin. More amber. A green Polish pedicure. A Korean-Japanese gentleman named Im. Chinese Hungarians on the train platform. Rude train lady. Syrenas. Surprising amounts of diversity. Italian food everywhere. Strong coffee. Bad pizza. Homesick. Kind people helping with the language. White sleeper car sheets(again!). Bouncing. Changing clothes in the top bunk while a friend stands guard. Dead phone. Strange stares. Lovely people. Grim city. Good night! –First, a retraction/correction of sorts concerning this post. Two days ago, I was in nearly the exact same situation, and the lady I gave my seat up to not only said a hearty and heartfelt thank you, she started a conversation with me afterwards. So I’m willing to chalk the whole “ungrateful heffa” thing up to personality differences. Geez, how do sociologists and anthropologists and psychologists do it?